A new vocational training program putting ethics at the heart of disability care aims to protect the National Disability Insurance Scheme from the sorts of abuses recently uncovered in Australia’s aged care system. The Victorian government on Wednesday announced $1 million funding to develop a new NDIS vocational training program, focusing on ethics, abuse and power – led by the Victorian Council of Social Service (VCOSS) in partnership with RMIT University and the Future Social Service Institute (FSSI). FSSI director David Hayward spoke to Pro Bono News following the funding announcement and said he wanted ethics training in the curriculum from day one, and not just as an “optional extra”. He said currently ethics training was “hidden under” the competency based certificate. “Knowing how to deal with issues that don’t have a straightforward answer is essential to becoming a worker in the disability field. If you get that right, the sort of thing you saw on Four Corners will become a thing of the past,” Hayward said. VCOSS Emma King said the funding would ensure Victoria made a “smooth transition to the NDIS”. “It will ensure people with disability are supported and empowered to lead exceptional lives,” King said. The FSSI has professors, researchers and vocational teachers all playing a part in the development of the new curriculum, which according to Hayward, was what made this program different. “We’re not just relying on industry feedback about what’s needed, but we’re also able to pull on broader research literature, which is why we’ve ended up with the ethics of care as our lead course, because that’s a major ambition for what’s there right now,” he said. He said he believed involving people with disability and carers in the design process would help develop the best program possible. “We’ve got such a broad range of people helping to build this stuff from day one and it’s just been fantastic because the feedback has been so rich and helpful,” he said. 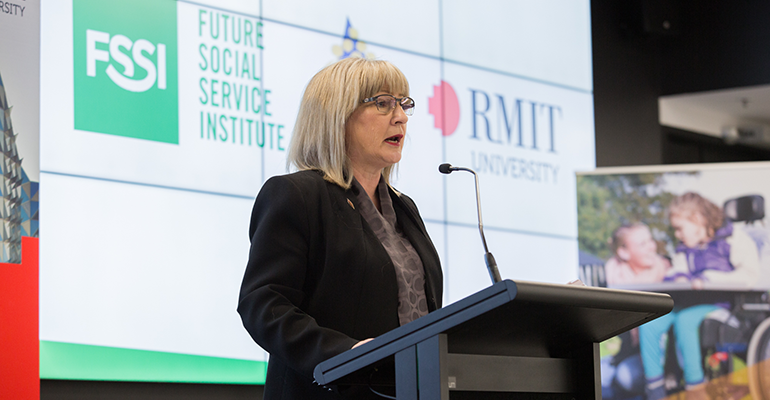 RMIT acting vice-chancellor Belinda Tynon said it was positive the government had recognised the need to produce skilled graduates, and said the program aligned well with the university. 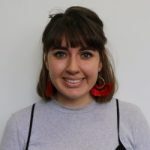 “The social sector provides perhaps the best example of emerging workforce need, and the government has recognised the need to be innovative to not only produce skilled graduates but to encourage ongoing career development,” Tynon said. Hayward said FISS had made it clear the partnership was not about RMIT, but about VCOSS and it’s members, who they wanted to deliver for. “Partnerships are crucial, and we’ve learnt a lot from VCOSS because of our partnership with them,” he said. “We want this program to be the best in the world.